For those of you who missed our annual picnic and auction, you missed a very good time. There was plenty to eat and a lot of fun handing out the door prizes to everyone. The auction was also a lot of fun and successful. Please try and make it next year if you missed this year. We will be digging irises tomorrow at the Garden. If you can possibly help it would be greatly appreciated. 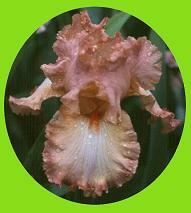 In addition, we will be cleaning the dug irises starting Saturday at 8:00 AM at the Garden. Last year it went very quickly because we had good help and Gary Keller reorganized the procedure a little. We need help again this year so please try and give us an hour or two of time. Our sale will August 17th and 18th with set up on Friday starting at 5:00 PM. We need people to help work at both events. This is your club’s premier event and your help is needed. If you can help please let us know. You can contact myself or Jean Morris. Thanks to all of you for being so supportive of the club.